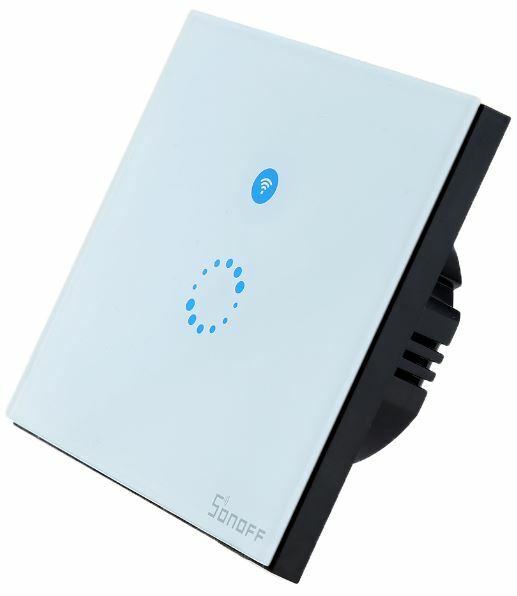 This Sonoff T1 wireless wall Touch Switch supports WiFi remote control. The wireless wall switch can be added to iOS/Android App eWeLink via WiFi, allowing users to remotely turn on/off connected lights or appliances separately from anywhere at any time. Upgrade your home to an elegant smart home, control anywhere, anytime! With the App eWeLink, you can create scheduled/countdown timers to auto-turn on/off devices at the specified time. You can also create scenes to turn on/off all the devices in your house with one tap. The smart wall switch works perfectly with Amazon Alexa/Google Assistant, you can ask Alexa or Google to turn it on/off. With IFTTT supported, now you can control your devices and apps in different ways.